If you are paid bi-weekly, meaning you get a paycheck every two weeks and on the same day, I want you to pay close attention here. I just found you a bunch of money! Every time I sit down with one of my financial coaching clients, one of the first things we look at is not only what their monthly income is, but HOW they get paid. This is extremely important, because how you get paid throughout the year has a massive effect on your savings, paying off debt, and building wealth. Let’s say you are paid every two weeks on Friday. If this is your situation, then you are paid on a true bi-weekly payment schedule. Therefore, each month you are expecting two steady paychecks to be paid out to you. However, this isn’t exactly how it works, and believe it or not it works in your favor. If you break it down, there are 12 months in a year, and since you get paid bi-weekly, then you should receive two checks each month for a total of 24 checks, right? You actually are paid a total of 26 checks every year because of the way the calendar works, there are two months every year where you are paid out three times. It’s simple: We often think each month is four weeks long, and since we are awesome at math, four weeks every month over the period of 12 months should be 48 weeks. However, each month is actually four weeks and a few days, which results in 52 weeks every year. It’s no secret that I recommend everyone start living on a monthly budget as soon as possible. When you are paid bi-weekly and living on a monthly budget, you are budgeting for only two paychecks each and every month. However, twice a year those magical months appear and a third paycheck is dropped into your checking account. Since you’ve only needed two paychecks inside your monthly budget to live off of, then what about this third check? I want you to look at the calendar and figure out which two months are going to have that third payday. It won’t be the same each year, so prepare accordingly. Then, I want you to only take half of that third paycheck when it comes in, and then the other half the following paycheck the next month. Why Only Half at a Time? 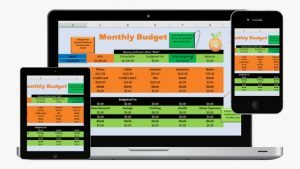 When doing a monthly budget, all you are doing is identifying how much money comes in each month (income) and assigning every dollar a place to be spent (expense). It’s no more than 5th grade math. However, your monthly expenses aren’t paid out evenly throughout the month. In fact, there will usually be a 7 -10 day period inside each month where a majority of your money is spent in the form of your larger bills. The rent, mortgage, car payments, and other larger monthly expenses often end up at the last few days or the first few days of each month. Ironically, this is also around the time your third paycheck arrives. This is the reason why I only want you to take half of that third paycheck now, and the other half in two weeks. I don’t want you to go without any income for a full four weeks and end up in what I refer to as paycheck shock. The reason I know is because we have experienced it and it will throw you into a little bit of a two week panic. No Bueno. What Should I Do with My Third Paycheck? You go to work, you make the money, therefore you decide what to do with the money. If I am in your shoes, I would first build up my starter emergency fund of $1k – $2k and then I would throw the rest of it at debt. However, if I was also anticipating a large unavoidable expense coming up (new tires, annual payment of some sort, or a family member’s wedding on the other side of the world) then I would apply it in those areas of your life to keep from going into further debt. A great place to park this money is inside a Sinking Fund. Related: What is a Sinking Fund? For most people, your third paycheck will actually be larger than the first two. This is because your health insurance premiums are usually only taken out 24 times a year, leaving you with a little boost in that third paycheck. However, one of the dumbest things I see people do is change their W-4 tax withholdings for their third paycheck to get an even larger boost for that pay period. This is dumb and I don’t recommend it. One thing about the IRS is they are getting their money no matter how crafty you think you are. If you change your withholdings from single and zero dependents to married and ten dependents so you can boost your miracle third check , you’re not tricking the IRS at all. In fact, all you are doing is setting yourself up to owe the IRS more next spring. What is even worse, is when you forget about changing your W-4 back to normal. Then you end up owing the IRS thousands of dollars on their payment plan at an incredibly high interest rate. This is stupid and absolutely not necessary at all for you to be successful with your money. The bottom line is do NOT do this. There is no benefit to it and all you are doing is setting yourself up for too many things to go wrong. You aren’t going to trick the IRS. Period. The first time Andrea and I looked at this idea, I remember thinking there must be some mistake. How was it possible that over the past decade, we had misplaced this extra money and had absolutely nothing to show for it? It made us both sick to our stomachs. I have said this over and over and I’ll say it again. The number one habit of highly successful people is they are proactive. So, I want you to be proactive with your money. I want you to make the small changes inside your life now that will reward you ten times over down the road. I want you to actually have money, instead of constantly running on the financial treadmill of life and playing the game of paycheck to paycheck. Look at the calendar and start marking off when that third paycheck is due to arrive. When it comes, let’s tell it what to do instead of wondering where the hell it went. You go to work., You make the money. Therefore, you get to tell your money what to do. 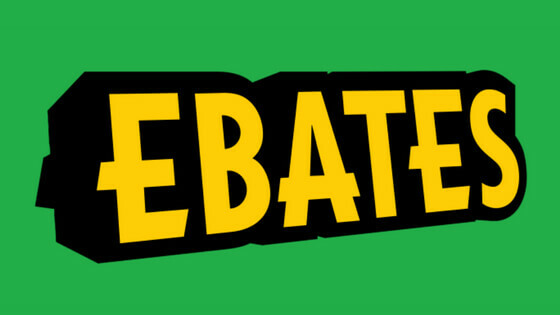 How Does Ebates Really Work and How Much Cash Back? In your situation, you would normally budget 4 paychecks per month. Since each month you only require 4 paychecks to live off of, then whenever you get that 5th paycheck – set it aside for ______. 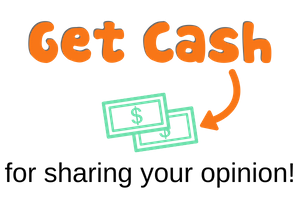 Great advice on knowing your cash flow so you can use it to your benefit. Divying up your paychecks so you can even out how much it feels like you are paying out is another of my favorites (ie, set aside half of your mortgage/rent with the first and fill in the remainder with the second). Helps me with expense shock! Interesting concept and one we don’t really think about. Most people get money and save “great, now I can buy that _____ I want.” I never really think about my extra paychecks because everything just goes into savings. I keep my spending in check and pay everything in credit to get the points, then pay my balance off in full each month. Then when savings overflows it goes into investments. Pretty simple concept but definitely not easy if you’re not used to it. Thanks Peach! Do you know how child support is affect by this if at all? That’s a good question. I’m not sure on the answer either. Maybe try doing some research and let us know what you find out. well if you get paid every 2 weeks they will take that amount 3 times instead of 2…example.I was to pay 500 a month and my ex got 750…. You’re right–those two ‘extra’ paychecks a year are a golden opportunity. Great way to jumpstart an emergency fund, take a whack at some high-interest debt, or add cash to an IRA. I’ve never heard of this approach but think it’s good. Especially not spending it at once. I always receive my payments on the 1st & 15th, but can apply this concept to some bonus side income I might make as well! I use this approach for anytime I get in more income in a month that is outside of our normal take home pay. I always try to plan out where that extra money will go ahead of time so I’m not as tempted to just spend it when I actually do receive it. I don’t believe in “extra” money. I divide up all of that and assign it to its job. I also get paid weekly, but erratically since I’m a temp. Thanks for the comment my friend 🙂 Very Interesting….However, if you are paid weekly, this means there are 4 times a year where you’re going to get paid 5 times in a month vs only 4. If you budget for 4 checks per month, then that 5th paycheck would technically be “extra” money. You really don’t have to believe in it or not, but just understand if you only budget for 4 checks and a 5th one comes in, you can do whatever you would like with that “extra” money. We have quarterly bonus months as well and when that hits during a three paycheck month it is a huge swing. Plus it can take two paycheck months to three so it happens 6-7 times a year. Getting ready for another one in July and then another in August with the bonus payout. Just move it all in to investments, been doing it for years. We just hit the 3 paycheck cycle in April, and it allowed us to finish paying off my student loans. My wife and I are paid on the same schedule, so in actuality, it was a 6 paycheck month. We even made more money from our side hustles in April, so all around, it was an incredible month for us. Having a plan for these months and sticking to it the moment the paycheck hits the bank is the key, IMO. My boyfriend and I are both on this cycle and every year we each get an extra check in May and September. We always plan our big yearly vacation for May so that we can use that check and not have to pay for our vacation later. Love the bonus check in September to get our savings amped up for the holidays. Great post! Seems so obvious but I’d never really thought about it with my direct deposit setup. The best thing about personal finance is it is just about 100% common sense. What makes it so crazy to get our heads around is common sense is no longer common in today’s world. Thanks for your comment and enjoy that little pay raise with your 3rd check! I’ll get a third paycheck this month, and again in December I believe. Vanguard Total Stock Market Admiral Fund, which is where I would normally put extra money. I’m doing something even better this triple-check month, though. I’m loaning money to an entrepreneur to start up a small craft brewery. In exchange, I’ll get an OK interest rate and a half barrel of beer (15.5 gallons) for the life of the brewery. My third paycheck would go straight to Vanguard to buy more dividend producers to move me towards financial independence. I’m trying to roll with you on this extra paycheck thing, and in theory I understand it. However, July is our extra paycheck month. I get paid on the 1st, 15th, and 29th. The problem comes in that if I take half on the 29th, and half on the 12th of August. I have bills, (including rent) that come out early in the month. Now August I might be able to roll with, but come September that means the first paycheck I get that month comes on 9th. That doesn’t leave enough money in the back to pay rent since I’m spending/saving 100% of my income. For this to work in my mind I would have to keep that extra paycheck in the bank until my next extra paycheck month so I can take it out without leaving myself without enough cash in the bank to stay current on my bills. Does that make sense? Sure over the course of a month I will have enough to cover everything, but because of when they come out vs when I get paid it leaves me in a whole. That works too. The whole idea is you really only need 2 paychecks a month and there are 2 months where you get a 3rd check. One of the things that comes to mind is you’re probably looking at the majority of your expenses coming out in about a 10 day period, right? If this is the case, then I would recommend you determine how much comes out in that 10 period as a % of your expenses and make sure you have a “buffer” in your checking account to cover those 10 days at all times. For example: let’s say your expenses total up to $4,000 a month, but $2,500 of that will be spent in the first 10 days of the month. If this is the case, I would recommend having a “buffer” in your account to handle those 10 days. A good rule of thumb: Keep your balance inside your checking account at a minimum of $500. Sound good? I thought about it some more, and until I can build up more of a buffer, I think what I’m going to try is divide that check up so I get it over the next six months until the next extra check. I’m going to try and implement your sinking funds also for vacations, Christmas, etc. I can’t see how this works in my situation, as I have payments that are bi-weekly which are large such as mortgage, car payment, and savings. I don’t get an extra cheque, but I am paying extra mortgage and saving more which is good. Am I missing the boat somewhere? In most cases people have monthly bills such as a mortgage, car payment, credit card payment, student loan payment, etc. However, if in your situation you have a bi-weekly payments going out, then you’re not missing the boat at all – you don’t have an extra check because you’re actually making payments every 2 weeks instead of twice a month. I am monthly paid at my job. My paycheck is always the same, regardless of the “extra” week. Is this right? 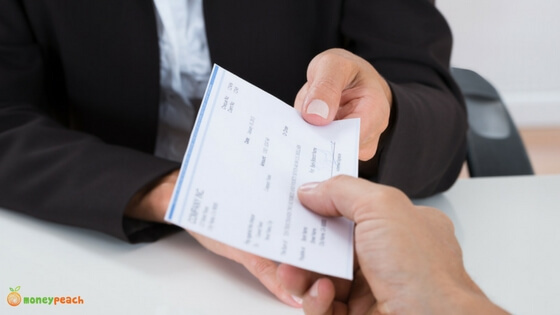 If you are paid bi-weekly (not bi-monthly), then you are going to receive 26 checks for the year and they could or could not be the same depending on your employer. This means those 2 extra weeks are bonuses since you are only budgeting for two checks per month. Therefore, you actually get an extra months worth of paychecks throughout the year if you are simply budgeting using 2 checks per month. In our situation, the third paycheck never feels like extra money. The first check goes to more bills than usual. The second appears to be more free, except that there was no spending money for the last two weeks. Then the third check comes on the last day of the month. Welll….. It ain’t going to anything fun. It’s going to the following month’s first of the month bills, which, like the first check, is extra heavy on the outgo so if you spent the all the “extra” money from the second check, once again there’s no extra money after bills. Additionally, when my husband and I were on opposite schedules (pay check every week), and the third check happened for one of us, it actually threw the bill schedule off until the next third check. So for 3 months we’d have my tiny check coming on the Weeks when the most bills were due, so we’d have to make sure that some of his check was withheld to cover the bills that my check wouldn’t. Yikes! Have you found a way to lower your bills or stretch your money to make it work out better? I live in sunny south Florida and I’m just about to start getting child support giving to me. If I’m supposed to get $600 a month in child support will I get extra every once in a while? Chris I’m enjoying your blog and with all of the helpful facts not hints. I have my 6 month fund already set aside and increased my 401k contributions but I have some additional questions I’d like to ask regarding taxes. That is awesome! Way to go! Shoot me an email and I’ll help anyway I can. Hello. My husband and I have made some very poor financial management mistakes throughout our time together and now we want to change. Only thing is our income is limited to a degree since my husband is disabled. Any info or advice would be greatly welcomed. Hi Kelli, Sorry to hear about your husband. I’m sure there are still things you can do to improve your finances. Have you started your first budget yet? That’s really the key to getting started. No. This actually only applies if you get paid every two weeks, not on the 1st and 15th. Do you know if health insurance is supposed to come out of the 3rd paycheck. Looking back over this year, I noticed that medical, dental and vision came out of both of my 3rd paychecks, so I didn’t know if it was something I should bring up to HR. I’m not sure, it depends on your insurance plan. It’s definitely worth a quick question to HR! I love this article! I switched from bimonthly to biweekly about 6 months ago and am coming up on my first 3-paycheck month in June! I was asking a coworker if we got an “extra” check and she looked at me like I had three heads ? This time it will go back to replenish savings and a big ol’ credit card payment and next time I’m planning to use it for dental work and loans!